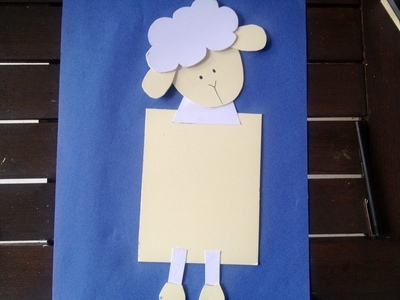 This sheep photo frame is surprisingly easy and cheap to make. It's a very cute addition for any bedroom wall. It would also make a lovely birthday, Easter or Mother's Day gift. 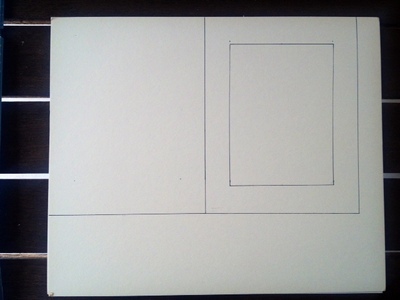 1 A4 sheet thick cream and/or white card. 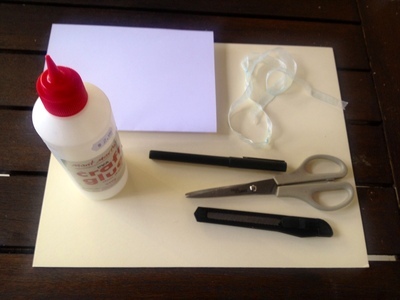 My card was cream on one side and white on the other so I managed to cut all components out of one piece of card. 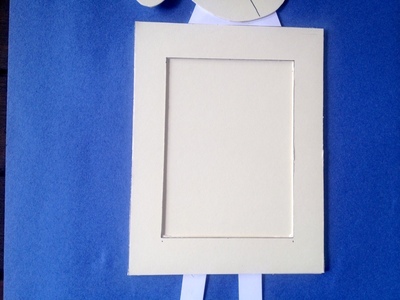 Cut out the two large rectangles and cut out the smaller rectangular window. 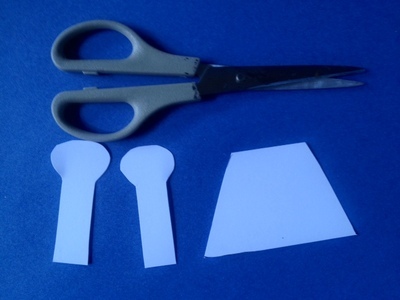 I used a craft knife to cut out the window as it was neater than using scissors. 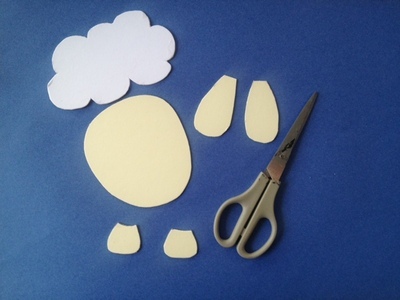 Cut out a head for your sheep, some curly wool, two ears and two hooves. 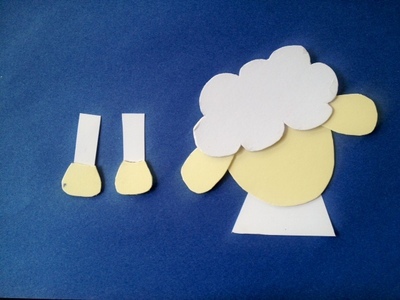 My card was cream on one side and white on the other so I used both colours but you could just make your sheep all white or black. 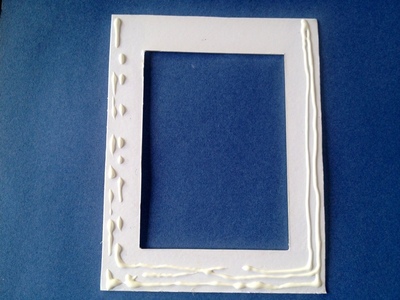 Apply strong PVA glue around the left, bottom and right hand sides of the front of the frame (the rectangle with the window cut out). 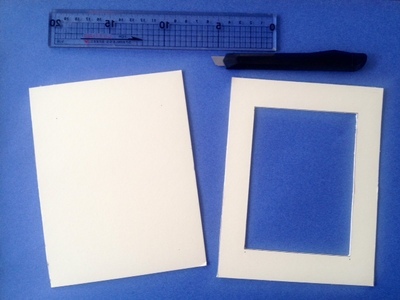 You will need to be able to slide your photo into your frame from the top, so make sure you don't put glue along the top edge or too close to the inner edges of the window. 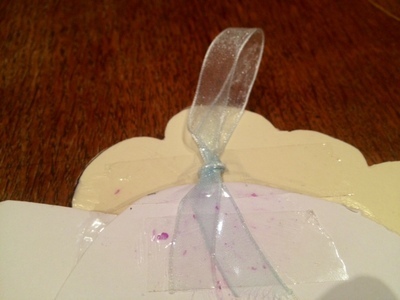 Make your ribbon into a loop. 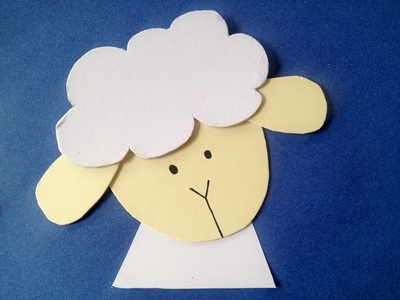 Glue on to the back of the sheep's head and when dry add some sticky tape for extra strength. 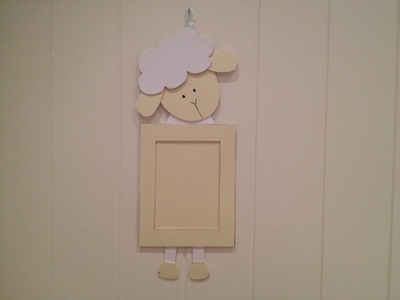 When dry, your sheep photo frame is ready to hang on a bedroom wall. Pick your favourite photo or draw a picture to slide in from the top.